"Future Farmers of America" was founded by a group of young farmers back in 1928. Their mission was to prepare future generations for the challenges of feeding a growing population. They taught us that agriculture is more than planting and harvesting-- it's a science, it's a business and it's an art. FFA continues to help the next generation rise up to meet those challenges by helping its members to develop their own unique talents and explore their interests in a broad range of career pathways. 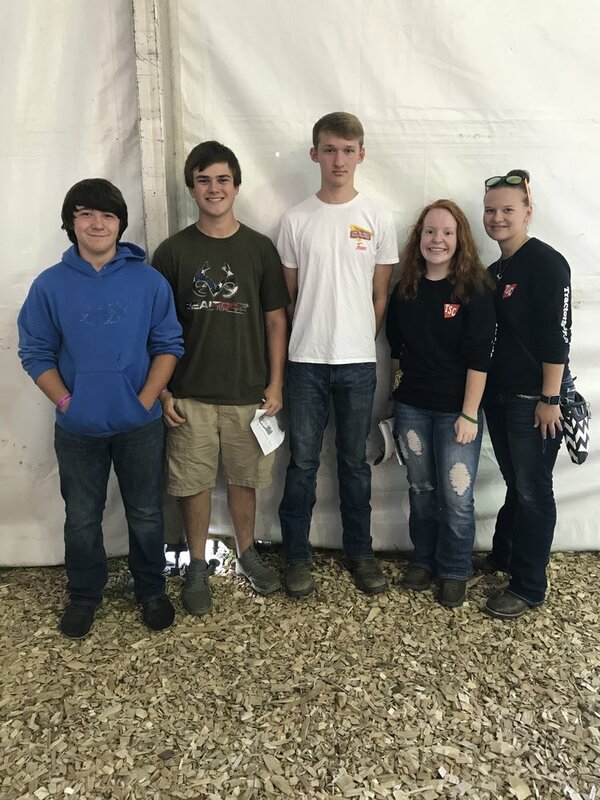 Saturday, September 17 four FFA members traveled to Black Hawk East in Kewanee for State Horse Judging Career Development. The four students finished 30 out 53 teams and 187 individuals. Congratulations to Megan Schmid for her 40th place, and Bailey Theesfeld who finished 95th. Anna Butzow and Gage Glotzbach also represented our school. During the Dairy Foods CDE at Hoopeston Area High School on 11/3, Hoopeston Area FFA was 1st place team. Gage Glotzbach was 2nd individual, Rayden Clingenpeel 5th, and Bailey Theesfeld was 8th. Also participating were: Brodee Herman, Jackie Gaytan, Jennifer Gonzalez, and Colby Burton. There were 42 participants and 7 schools participating. Also, at Computer Science, HAHS FFA was the 3rd place team of 7 schools participating. Chase DeVore was 4th and Madi Pickett was 5th. Also participating were: Daniel Bass and Trysten Shackleford. There were 6 schools participating and 23 Individuals. Awesome 2018 FFA Auction. Thanks for donating.